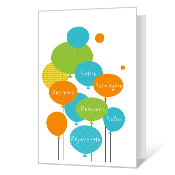 Cover Verse: Retire Reimagine Recreate Reinvent Relax Rejuvenate Inside Verse: Congratulations Really happy for you! 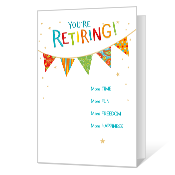 Cover Verse: You're Retiring! More time, More fun, More freedom, More happiness. 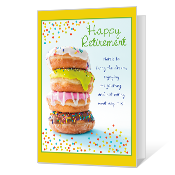 Inside Verse: Hope retirement brings you all kinds of good things!